2017 is a big year for Ford Drive 4 UR School: it’s the 10th anniversary! This amazing program was developed as a way to help Ford Dealers work with elementary, middle and high schools to raise money for items such as athletic equipment, musical instruments, playground equipment, microscopes, turf fields, graduation caps and gowns, laptops and much more. Ford donates $20 for every test-drive taken at each Drive 4 UR School event, up to 300 valid test-drives or $6,000. The Drive 4 UR School program was a huge success right out of the gate (even inspiring Drive 4 UR Community in 2012, in which Ford Dealers work with nonprofit organizations to help within their communities). To date, the Ford Drive 4 UR School program has had thousands of events and raised more than $30 million for schools nationwide. 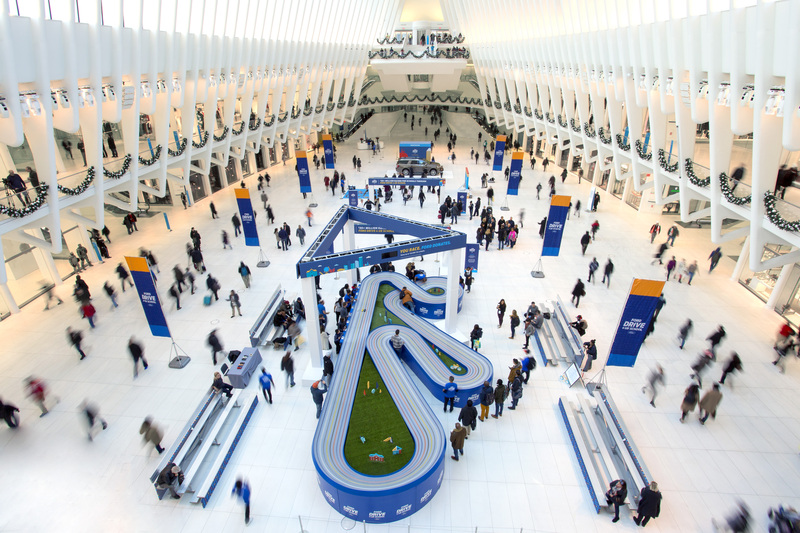 In honor of the 10th anniversary, Ford upped the ante with a two-day event at the Oculus at Westfield World Trade Center in New York on November 17-18, 2017. Ford donated $10 to New York City public schools for every person that participated in a slot car race, up to $10,000. The event featured amazing on-site activities, such as a larger-than-life slot-car racetrack, a chalk and mural wall stationed with a swing for photos, and even a kiddie course. These activities centered on the impact school makes and showcased the difference Ford and Drive 4 UR School have made for education over the past 10 years.